Situated smack dab on the Breckenridge Ski Resort, Tenmile Station is close enough to town, but far enough away from the crowds of tourists. With a short drive up an actual ski-run, there is a sense of adventure in getting to the venue. Not 4×4, but enough to give your guests a good memory. To the south east, it has some beautiful views of Boreas Mountain and the surrounding Tenmile Mountain Range. There is enough space inside the reception space to seat a good amount of guests. 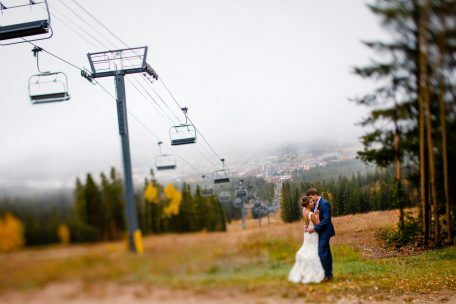 While most would consider it mountain themed, the entire venue can be transformed into any style of wedding you want. 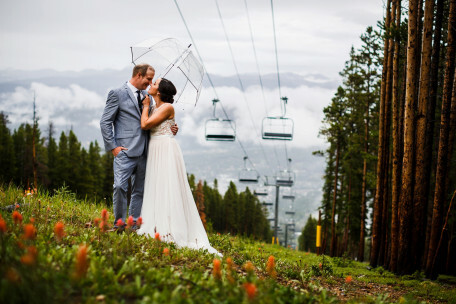 In regard to Breckenridge Wedding Venues, Tenmile Station tops the list as our favorite in the area.